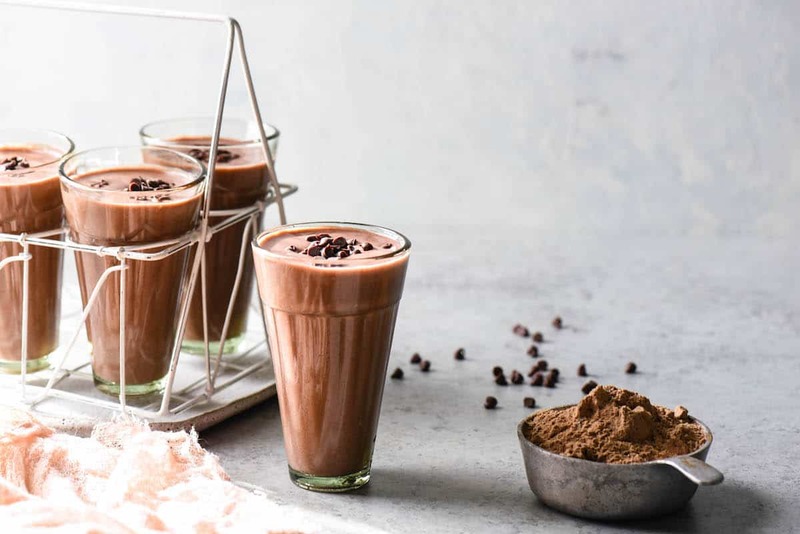 Blend up this High Protein Cocoa Smoothie for an energizing breakfast, or recovery after a workout. Fruity and full of chocolate flavor, it feels decadent while still being good for you! What’s in a name? After reading way too much about the importance ascribed to celebrity baby names (I will always read People magazine as a guilty pleasure in doctor and dentist waiting rooms), apparently, quite a bit. 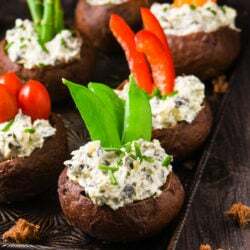 While the stakes of naming a recipe are quite a bit lower than the stakes of naming a celebrity baby, the name of a recipe CAN still make or break it in the eyes of the internet. Without going into too much detail of the science behind search engines, just know that I hem or haw over these names quite a bit. But, on this blog, flavor will always be queen. 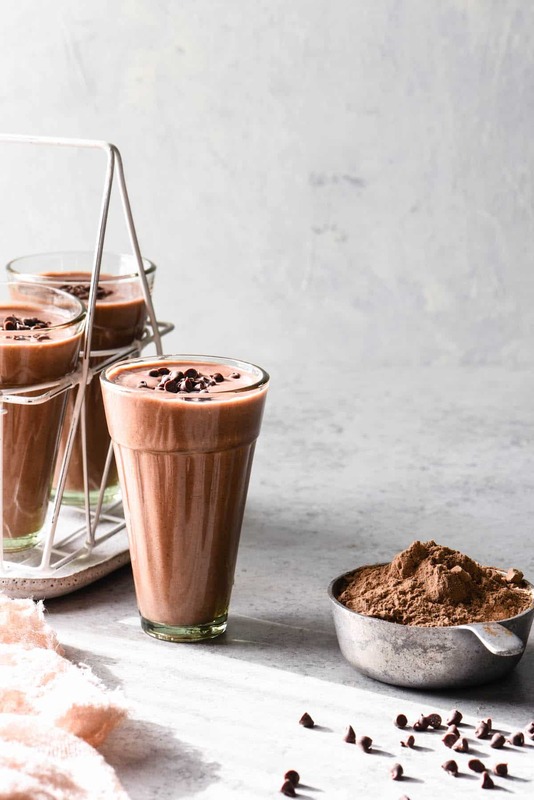 That’s why this High Protein Cocoa Smoothie recipe ended up in a different place, name-wise, than I was planning on. You see, I really wanted to make a RED VELVET protein smoothie. The main flavoring of a red velvet cake is simply cocoa powder, but of course, the color comes from an absolute ton of artificial food coloring. I didn’t want to use food coloring, but try as I might to get beets to naturally flavor this smoothie red, it just wasn’t going to happen (plus I wasn’t a huge fan of the flavor the beets brought to the party). And I wasn’t about to sacrifice the flavor of the smoothie just for the color. So, I got the flavor to a place I was really happy with and decided to simply re-name the recipe. While I can’t really call it red velvet since it’s not red at all, just know that it kind of tastes like red velvet. And that it tastes REALLY good. The bulk of the smoothie comes from fruit like bananas and strawberries (or you could use raspberries). It’s sweetened slightly with agave nectar and vanilla extract. Then comes the protein. I promised you high protein, and you’re getting high protein. 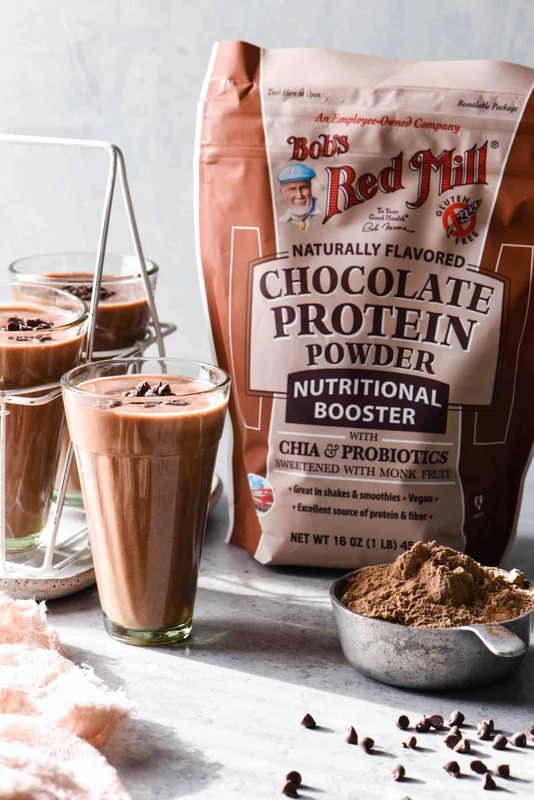 Not only is there cottage cheese and almond milk in here, but we’ve also got Bob’s Red Mill Chocolate Protein Powder going on. I’m not always a fan of protein powders, but this one I actually love. Made with pea protein, chia seeds, and a big helping of cocoa powder (for that red velvet flavor I was after), this stuff is an awesome source of omega-3, iron, protein, probiotics and fiber. Plus, it comes with its own scoop, and the bag is sealed with some sort of magical resealable velcro situation. So, while it’s not the red velvet smoothie I was originally after, I’m in a happy place with this High Protein Cocoa Smoothie. I’ve been whipping them up mid-morning after working out. Enjoy! In blender, combine strawberries, banana, protein powder, ice, almond milk, cottage cheese, agave nectar and vanilla; blend until smooth. 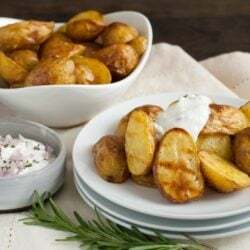 Serve immediately, garnished with mini chocolate chips, if desired. Where can I purchase the cocoa protien mix? Can I get Nutritional Information on this? 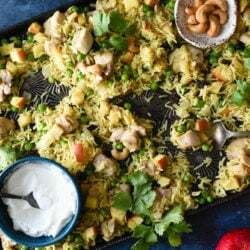 Hi Sue – I don’t include nutritional info for my recipes, so I would suggest plugging the ingredients into an online nutrition calculator such as MyFitnessPal. The photography on this post is incredible! I feel like these images are immaculate! It sure does make the recipe that much more enticing to try. 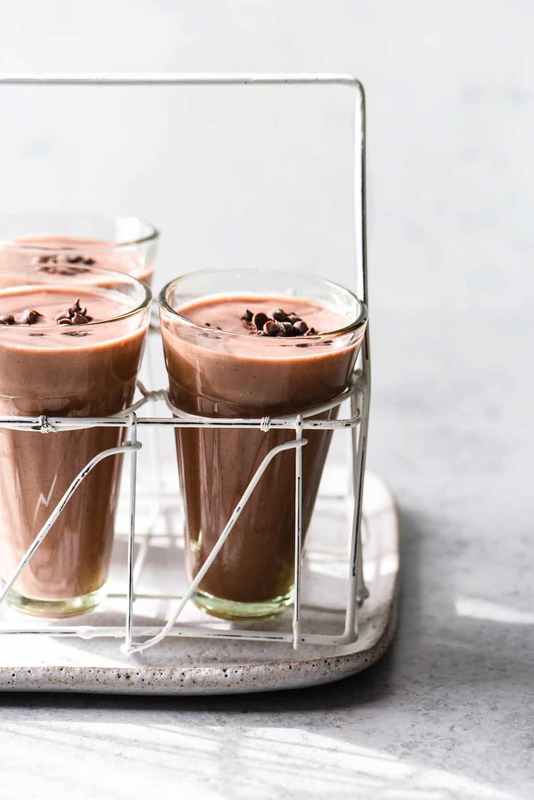 I think this recipe fits perfect as a workout recovery drink because sometimes the healthy protein drinks are pretty bland but this definitely will take care of that. Thanks so much Lori! Thanks for stopping by, Jordan. I appreciate it!